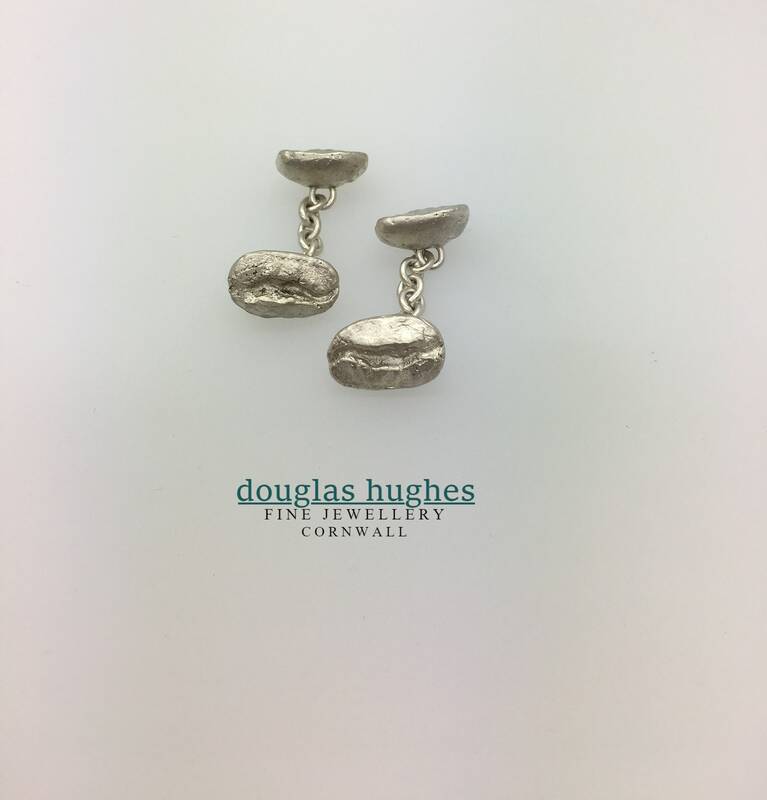 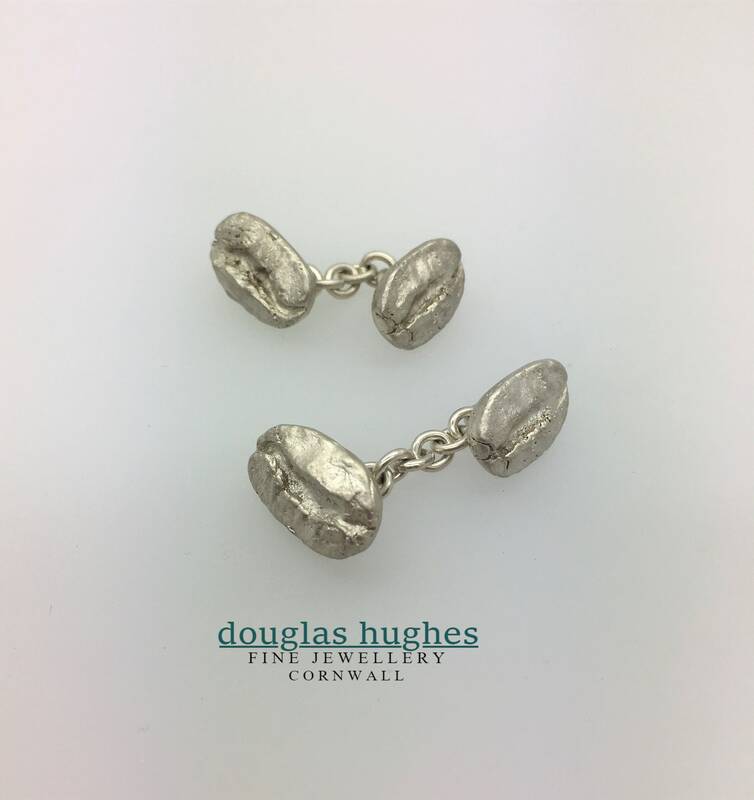 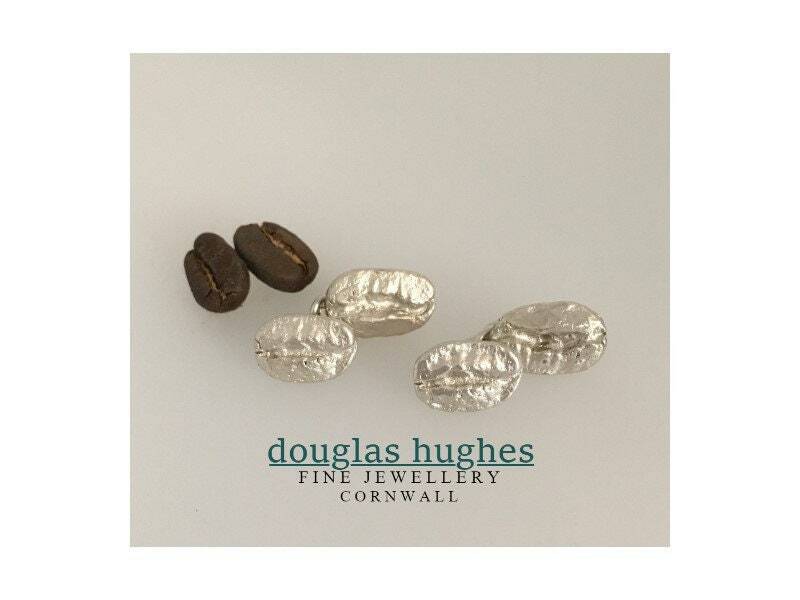 A pair of highly individual Coffee Bean Cufflinks - Handmade by Douglas Hughes. 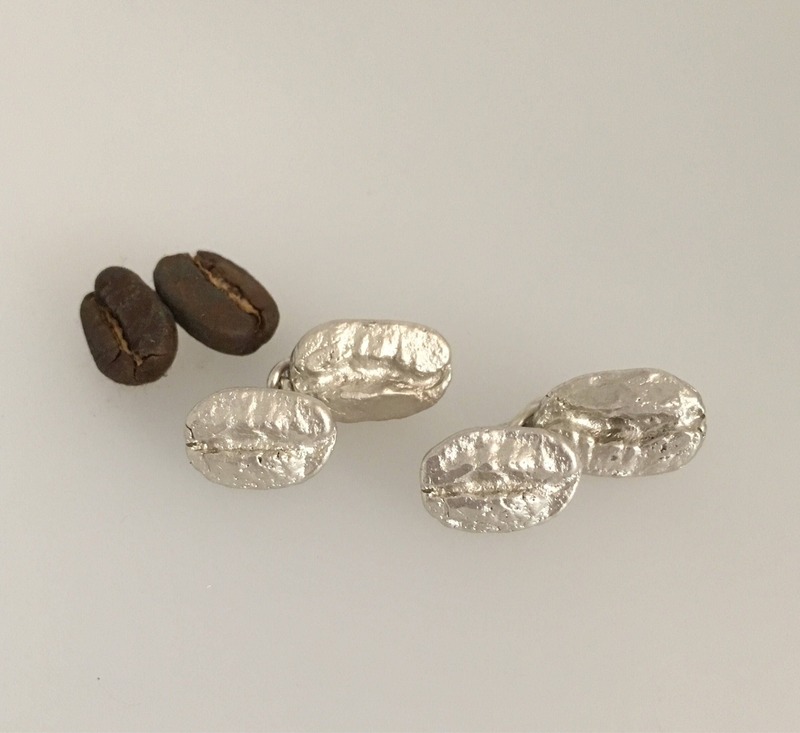 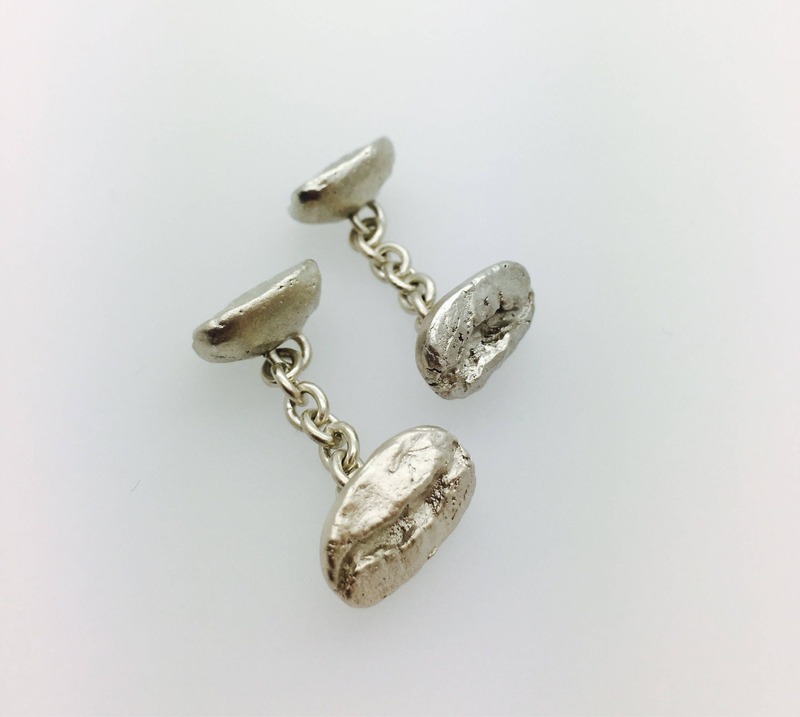 Genuine Coffee Beans cast in Solid Silver and connected with a silver chain. 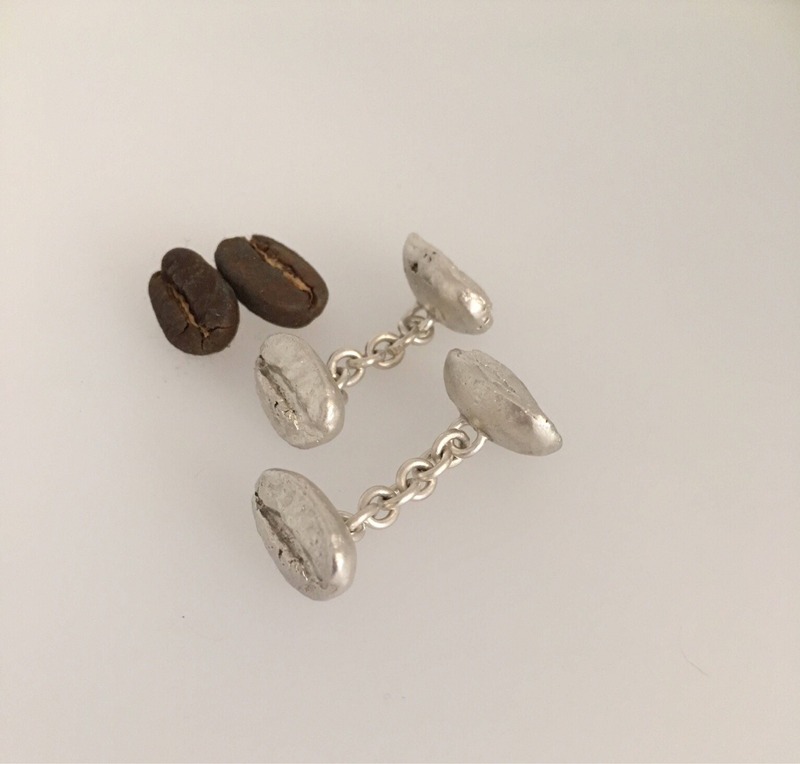 The perfect gift for coffee lovers!